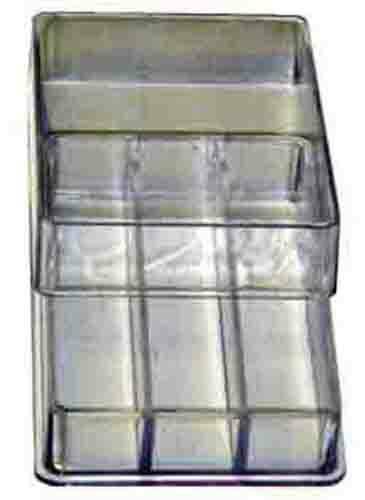 Plastic bushing box holds 3 different bushings or other small parts. 2-5/16" x 1-15/16" x 9/16" deep. Slip-on clear cover.